2. 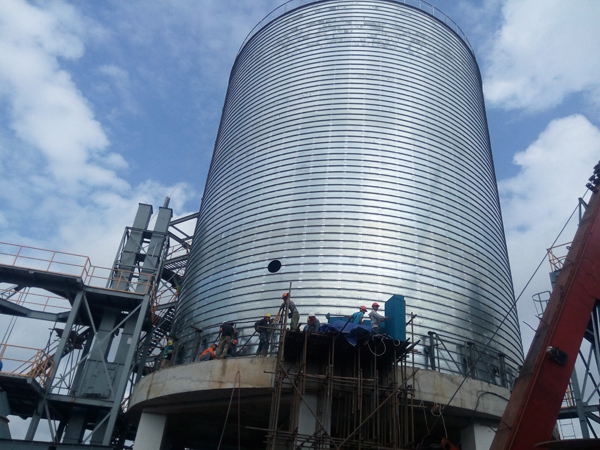 Make the upper ring and put it in the middle of the silo, prepare installation steel frame to locate in the correct place, put away bending machine, forming machine, and raw material galvanized steel plate in the center of the silo. 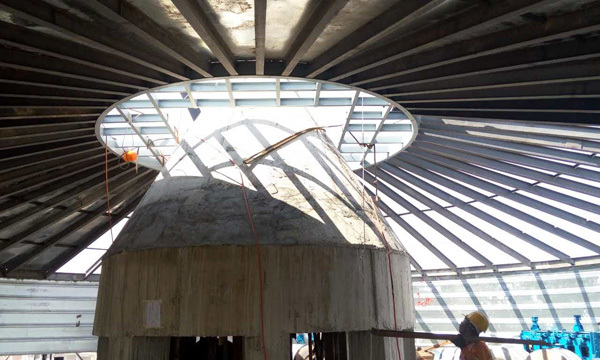 Start the installation tools, bend the galvanized plate in a circle and form it as 5 layers someone will measure its width and length to keep the rolled plate in right situation. 4. 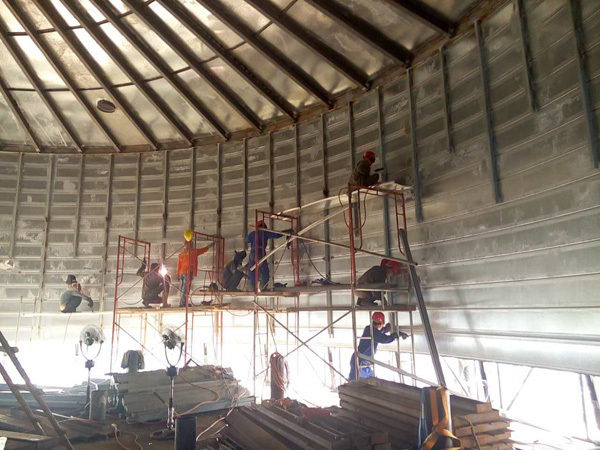 Welding silo roof cover plate and silo inside stiffeners. 5. Continue to bend and form the coil galvanized steel plate. 6. Reaching the design height. 1. 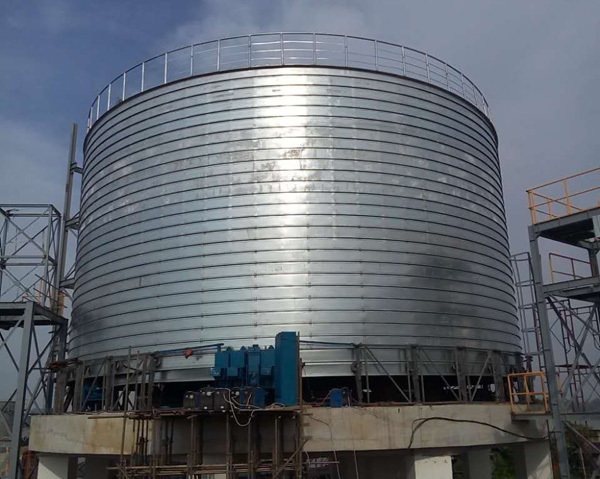 All the above is a just brief description of steel silo manufacturing process. 2. This description is for lipp steel silos.